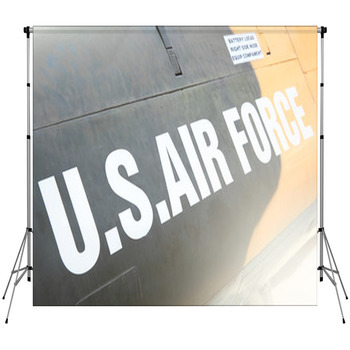 Whether it's teenage boys, current members of the armed services, or retired vets, our air force backdrops are sure to impress. 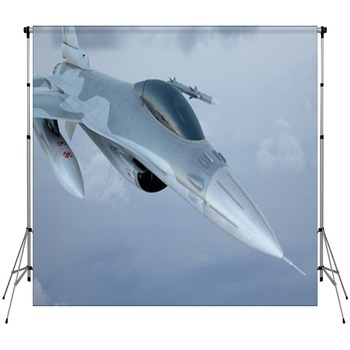 Choose photographer backdrops that highlight classic World War Two bombers along with the latest in jet fighter technology. 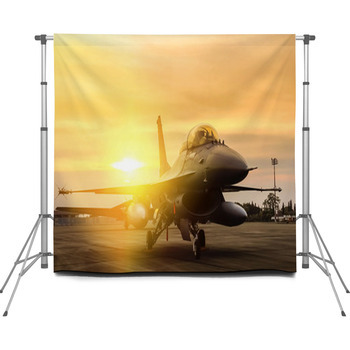 Other backdrops depict close up photos of jet engines, dog tags, and green radar screens filled with enemy targets. 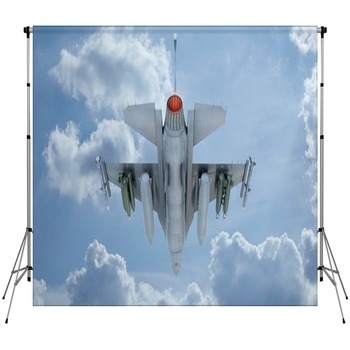 Decorate your professional photo studio or home with air force backdrops and feel the intensity every day! 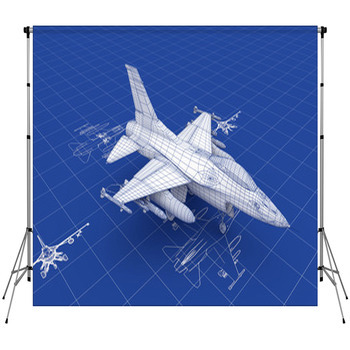 These custom size backdrops also focus on specific parts of aircraft, plus the massive aircraft carriers that support them. Kids love to pose in front of a photo backdrop that pictures vibrant Blue Angels diving out of the sky. 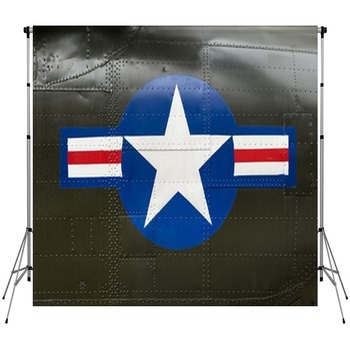 Add to your studio collection a backdrop that showcases a vintage photo of a twin-propeller bomber. 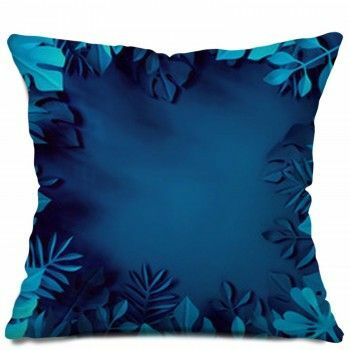 For enthusiasts of the most cutting-edge aircraft, make sure you have an air force backdrop that shows a dark gray F-15 Eagle leaving streaks across the blue sky as it soars upwards. 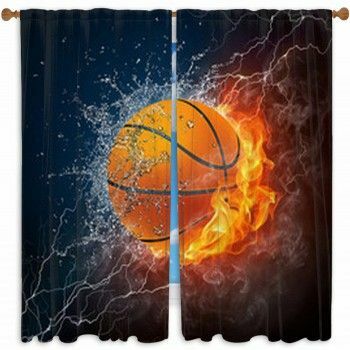 Add to these existing backdrops your own custom or personalized images and words. 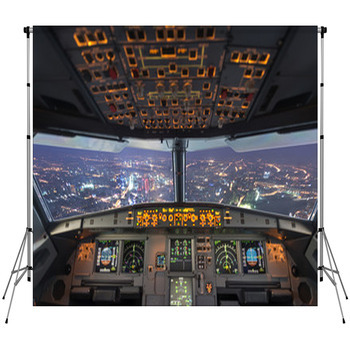 You can add your flight numbers to our images, or your pictures from the cockpit over our abstract plane-shaped backdrops. Just like in the skies, your options for fun and excitement are limitless.